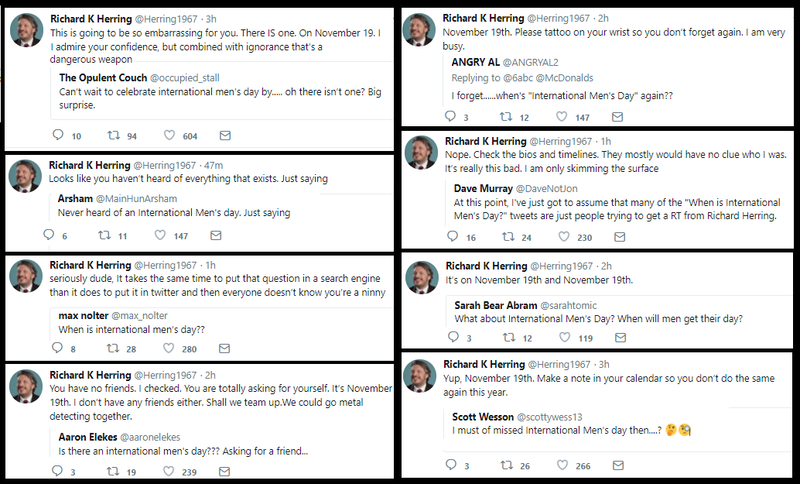 Aside from being a day to celebrate women and promote women's issues, March 8th is also a day when literally thousands of pathetic man-babies take to Twitter to cry that there isn't an International Men's Day. Except of course that there is, it's on November 19th, and it would have taken each of these sub-juvenile "what about me!" 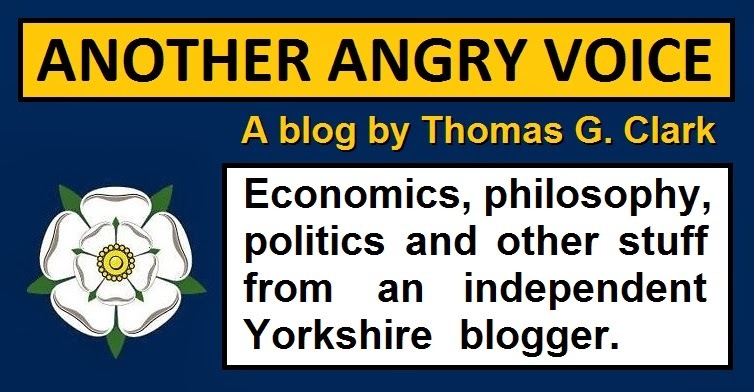 man-babies a matter of seconds to Google it, rather than spewing their self-pity on Twitter. 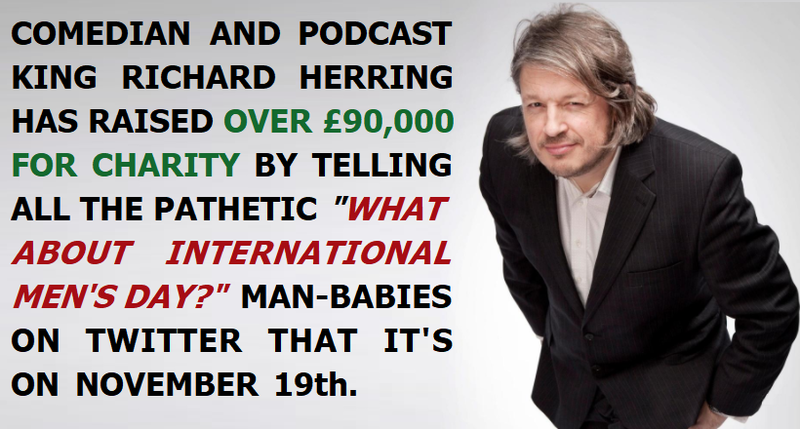 The comedian and podcast king Richard Herring has raised an astounding amount of money for a the Refuge domestic violence charity simply by correcting all these pissy man-babies. 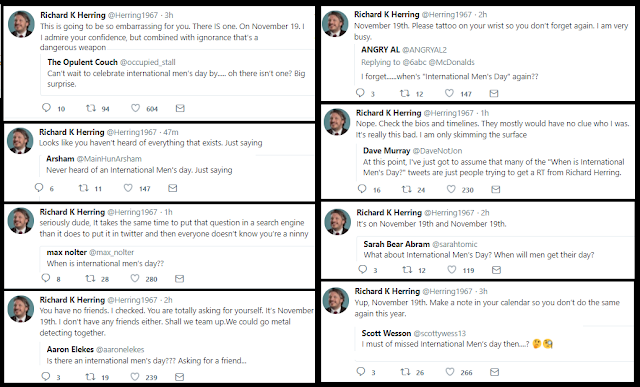 With the patience of a saint and a load of jokes thrown in for good measure Herring has spent the entire day writing iterations of "it's on November 19th" in response to this absolute tide of patheticness. He's been doing this mind-numbing Twitter task as a kind of voluntary online public service for the last few years, but this year he's decided to use the storm of Retweets it generates to raise cash for the Refuge domestic violence charity. At the time of writing Herring's Just Giving campaign has raised well over £90,000 for the domestic violence charity in the space of about 8 hours! And here's a link to Herring's series of Leicester Square Podcasts (there's bound to be one featuring someone you admire, the Armando Iannucci one is brilliant).